Sony provides network based video security products for surveillance applications that include: Network Cameras, network recorders, CCTV, monitors, accessories, encoders and security software. Sony 4K delivers maximum returns on your investment in video security and surveillance—in cities, public spaces, airports, etc. You’ll clearly see the difference that Sony 4K delivers in any environment, with dramatically increased efficiency and lower operational costs compared with conventional video security solutions. OnSSI’s award-winning IP-based surveillance software, Ocularis, addresses complex, multi-server installations, as well as single installations. The flexibility and functionality of Ocularis make it a great choice for any end user. Intelligent search features allow searching multiple cameras to quickly pinpoint the video you need. Automatic load balancing for hard drive management provides flexible storage options and maximum security. Superior maps integration and keyword search for efficient operator control. Advanced warnings for quicker response. For over 30 years, Seneca has met evolving customer needs in diverse industries with original and partnered technology solutions. As a leading U.S.-based custom computer manufacturer, Seneca creates solutions to simplify technology for business, education, healthcare, digital signage, digital security and surveillance, and digital broadcast customers nationwide. 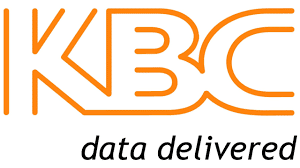 KBC offers reliable, industrial transmission to get your signals from A to B, for CCTV, security, site management, intelligent transport networks and industrial control systems. We provide the interfaces for cameras, sensors and control equipment that drive signals securely over wireless links, LANs, private and public WANs, mobile, 3G / 4G and fiber optic networks. A clean, affordable, renewable solution that gives you reliable, 24/7 power for all types of equipment in any environment. Many different voltage & output options available.